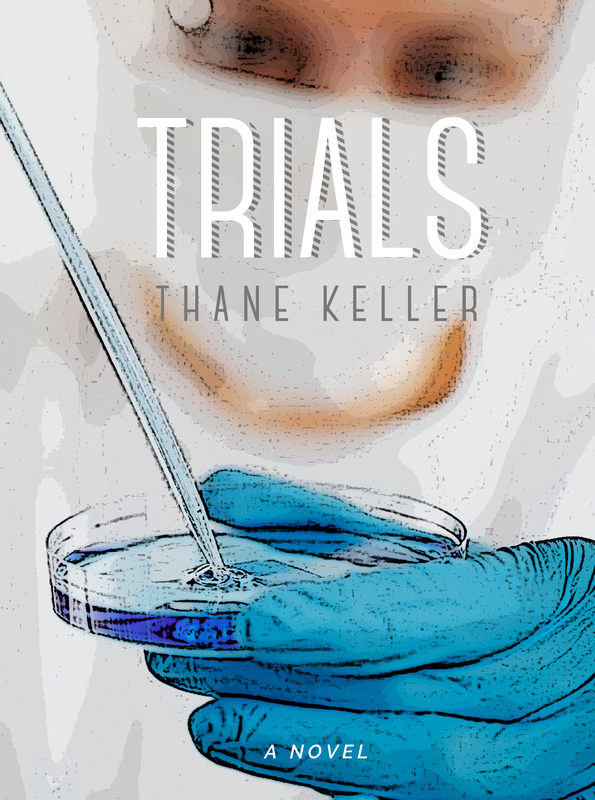 Trials is a dystopian science fiction thriller that follows Jonah Shepherd, a wrongly accused retired soldier that has been exiled to the planet Mars by a corrupt and totalitarian government. As Jonah’s world descends into chaos, he is forced to rely on his ingenuity and military training to escape the red planet and reunite with the love of his life, Evie. Standing in Jonah’s way is a megalomaniac named Malek, the shadowy mining company Unicore, and one hundred and forty million miles of empty space. From the Author: Thank you so much for finding my page. This is book one in a three-part series that explores the question: what would it take for you to leave Earth forever. In addition, the novel explores the depravity of man, the ability for people to rise above the ashes, and a breadth of emotion between the two. I hope you read it, I hope you love it, and I hope you engage me as an author! Please consider following my blog or the blog category “Trials” for updates, thoughts, and topics related to Mars exploration. Lastly, I would love for you to purchase a copy of my book on Amazon and to engage me as an author on this page or on Goodreads where you can ask me a question or review my book. “Make no mistake,” the speaker said resolutely, “with this technology and your continued investment, we could terraform an entire planet!” The audience erupted in applause, and the attractive female scientist smiled widely behind her podium. After years of research on volcano fields and at the bottom of the ocean, she was finally getting her big break. Jillian looked over to three older gentlemen in light gray three button suits seated to her right. These were the corporate drones funding her research and Jillian was convinced that not one of them ever once had an original thought. They clapped and smiled. One gave her an approving nod, and she turned back to the crowd of eager donors. “Now that I’ve explained my research behind the concept, I want to show you the progress we have already made in this exciting new field and the direction we are going.” Jillian stepped to the side and gripped a thin silver remote in her palm. Clearing her throat, she looked to the back of the room and asked the audiovisual crew to dim the lights. Instantly, the auditorium was dark, and the image of a plant appeared on the screen. The plant was tall, with a sturdy green stock and large green leaves that stretched upward and then bowed to the ground under its own weight. Judging from the slide, the plant was approximately five feet tall, but more peculiar than that, the picture captured a faint green glow emitting from the leaves themselves. The crowd gave generous applause, and Jillian stepped away from the podium and towards the three men seated behind her. They stood, shook her hand, and ushered her off the stage before any questions could be asked. “Did I do a good enough job selling it?” she asked, once away from the lights, cameras, and reporters. When the ground shook, it started off as a slow rumble, simply vibrating the metal springs on his twin-sized bed causing them to rattle back and forth against its steel frame. Ordinarily, he wouldn’t have responded. The ground here had tremors frequently, and other than a little dust from the ceiling of their cavern home, there wasn’t much excitement to be had. He didn’t get out much. At least, he didn’t used to, but he thought back to his years in captivity frequently, and sometimes he even thought beyond that. The earthquake was the single point in time that changed his life for good. Before the earthquake, he wasn’t just a nobody; he was worse than a nobody. He was a killer. A killer that was lost and forgotten in the depths of the most mind-numbing prison. But the earthquake. The earthquake changed all of that. As he sat on his bed that day, he replayed the pivotal moment that led him down a path that would forever torment him; not because of the action he took, but because he feared he would never be able to feel that free again. For years, he was a prisoner in his own mind unable to act out the impulses that made him feel so free. He remembered watching the boy ride his bike back from school. Every day the boy passed his house. Every day he watched him. Finally, after much torment, he stepped outside. He remembered the boy’s shock at first, the fear that drenched his face. The surprise that a human being could be so cold. More importantly, he remembered how free he had felt afterward, how relieved he was that he could finally reveal himself to the world as he truly was. But then it ended, and all that was left was a memory. Until the earthquake. Now, he was a king. Sitting high above his subjects, he ruled with sovereign power. An eye for an eye, a tooth for a tooth, and all people would give tribute to him. Minions and pawns scurried about around him, grateful that he had allowed them to live after that fateful day. The day that the gods had declared long ago was his for the taking. One cleaned, the other cooked. Others stood guard. He had sought this recognition for years and never found it. But he was an opportunist. And when opportunity struck, he seized power. He wasn’t large or tall, but he was smart. And he was vicious. All those years imprisoned in his own mind gave him time to think. That is what separated him from the others. He murdered because it was who he was, not because of his circumstances, but because of who he was at his very core. While others concerned themselves with revenge, or getting back at the guards, he went straight for the resources; the one thing that had to be controlled to force everyone else into subjection under his feet. Then, all that was needed was to make an example of someone. To show the rest how absolutely brutal he could be. He didn’t like to get his hands dirty when it came to politics, but that first one had to happen. Soon, others joined him. He consolidated resources and had something to offer. Food, shelter, and protection. All in exchange for unwavering loyalty. Eventually, all the people submitted to his rule. Here, in this dark, chaos-filled place, he brought order. He brought meaning. He brought purpose. They called him Malek. King. And that’s what he was to them. He was their King. The car was half submerged in the murky canal water. Soldiers on one side; frantic citizens on the other. A crowd gathered around the hasty rescue effort in the center. He could still see her in his mind. Not her face, but her back. Her hair gently dangled in the water as men pulled her out by her feet. The car had been submerged for almost 6 hours. Rescuers cheered as they finally pulled her out; she couldn’t have been older than six or seven. They laid her down next to her mother. It was just another day in Iraq. Jonah lay there sweating. He couldn’t sleep. His mind jumped from Iraq to Afghanistan to the Sudan to eastern Russia. His thoughts weren’t filled with guilt, or shame, or fear but a deeper form of questioning. One he could never put his finger on. He saw the girl again. Hair dipping into the water as she was lifted out. He always went back to the girl. Sometimes he imagined her frantically trying to escape the car. At the moment the water filled her lungs she was at peace, and he imagined that death for her was a better alternative to the life she might be forced to live. Eventually Jonah stopped trying to figure the events out and simply remembered them for what they were – crazy. The cold damp cell where Jonah found himself could not be compared to the torment that had trapped his thoughts for years. But this was more than a cell and more complex than a standard prison. Jonah was locked away from the light of day and stowed deep underground where he couldn’t hope to hear the laughter of his children or feel the touch of his wife ever again. He remained tormented in his mind, not only for the things he had done and saw, but also for things he could never do again. His current circumstances made it laughable to think of even one blessing of God. And yet, in the cool dampness of night, with only the slightest whimper of other inmates to distract his thoughts, Jonah could easily find them. More often than not, those blessings existed in the form of memories – his three children and a wife that loved him deeply, remaining loyal in these dire circumstances. He also found them in his prison in the present. Jonah sensed them when the sounds of other inmates reminded him he wasn’t alone, at the kindness of a guard giving him an extra portion of food, and every once in a while at the faintest ray of light that managed to penetrate a sewage vent at the end of their concrete hallway. At Jonah’s weakest, he cried bitterly. He had done so many times here while he counted the days of a trial that appeared to never be coming. He felt the absolute inadequacy to defend himself against a power that invented guilt and innocence rather than adhering to an absolute definition of righteousness. Tonight, however, his mind had no time to succumb to the self-imposed pity that he and countless others endured while at the mercy of the state. No, tonight he could only think of her. That young girl strung upside down by her feet as she was pulled from the concrete canal. Frail and lifeless, she was the mere shell of a body that was altogether empty of the soul that had once made her human. Sometimes he thought he might shed just one of his tears for her. But he couldn’t. He didn’t know her and had arrived too late to blame himself. She was just an image. A picture forever engrained in his mind. The first among hundreds he would see. But she was the first, and she was the only one entirely undeserving of the fate that gripped her. Sometimes when images of the girl appeared in his mind, he would try to think of his family instead. He remembered the times he and his wife would spend on the playground watching their children laugh and giggle. He would fantasize about taking his children sledding, teaching them to hunt and fish, and watching them grow; all the while marveling with his beautiful wife at how large they’d gotten. Jonah imagined, with guilt, the missed opportunities too. How many years had he thrown away to his work and his job? How many months had he thrown away to this cell, imprisoned by the very people he had spent so many years protecting? Despite his attempts, Jonah’s mind always came back to the girl. That girl who so many years ago ingrained herself into his mind for eternity. Eventually, on that cold, hard mattress in his damp, dark room, sleep overtook him; another blessing he took for granted all too often. “Clark, you’re looking at it all wrong!” The sharply dressed Unicore executive argued over a cup of steaming coffee. His hair was as dark as the moonless night that hovered outside the windows of the coffee house. Jacob wore a black suit, a white neatly pressed shirt, and a red tie. The tie had a gold clasp that held it tidily against his shirt. Along the center of the clasp were four red triangles that formed the Unicore logo that so often graced their products. Across the table sat Clark; a scruffy haired graphic designer with a three-day shadow and a cheap, tieless suit. Clark leaned across the table, over his caramel latte, and attempted to peaceably engage Jacob; clarifying what he meant. Clark nodded and tried to follow along but was already distracted by the smell of fresh coffee beans and the promise of caffeine and sugar. He leaned back in his chair, enchanted by the ambiance of the diner, the smells of the coffee, and the dark cold night they were escaping. Jacob was reiterating a point he had already made but was now pressing the table forcefully with his index finger to exaggerate his emphasis. Without waiting for a response, the advertising executive threw a ten dollar bill on the table, climbed out of the bench seat, and disappeared through the wooden door. Clark remained seated, milking the rest of his caramel latte as he pondered the challenge ahead of him and the cryptic warning that Jacob had left him with. How do you convince someone to leave everything they know and take a one way trip to Mars? Artists drew creativity in different ways, and as for Clark, his was stimulated by people watching. Clark had long suspected that he could discern the motives and personality of a person simply by watching their actions and expressions when they thought no one was watching, and, in his line of work, he desperately needed to figure out what made people tick. Looking around the espresso-colored coffee house, inhaling the fumes of various coffees, creamers, and pastries, Clark found himself fixated on a poster for a political rally. He didn’t watch the news much, but he read enough to know what was happening to his country; and it wasn’t good. In fact, minus an all-out succession, the lines had been essentially drawn in the sand between what some people were calling the red states and the blue states. The red states jumped on this division first and seized on the opportunity to rename themselves. They began to refer to the states in their coalition as ‘Free States’. The Blue States, recognizing their disadvantage adopted a similar title – ‘States of Opportunity.’ This was a battle for hearts and minds, and despite his distance from the political scene, it was not lost on Clark that this was a war of public opinion. Those names reflected a leader’s attempt at controlling thoughts, which was exactly why he appreciated it so much. In fact, the rhetoric was so strong that a red state senator was attacked by an angry mob outside of the capitol building in DC. According to some media outlets, the police did nothing and some even incited the mob to greater violence. If Clark didn’t watch the news much, he did even less considering of political issues, and, quite frankly, he wasn’t sure he cared what each sides’ grievances were. Art was Clark’s escape from the world, and so long as he had a steady supply of customers and didn’t live on the street, he was content to just not know. Regardless of which side ended up winning, losing, or separating, Clark wasn’t sure much would change for him. Two teenage girls climbed out of a booth to his right and giggled their way to the bathroom. Left behind were two shaggy-haired young men. As engaged as they were when the two girls were with them, they quickly sunk into the booth and pulled out phones. Entirely uninterested in talking to each other, they waited in silence for their dates to return. These were the people he loved to watch because, through his work, these were the people he would try so hard to convince. Moonlight reflected dimly off a picture that Evie had now been staring at thoughtfully for at least half an hour. She had stared at that photo hundreds of times for countless hours, but tonight, perhaps by the pale light of the moon, Evie noticed something she hadn’t seen before. It was a picture of their wedding day, a photo of them with their parents. Everyone was staring at the camera except for Jonah. It looked like he was staring at the camera, but upon closer inspection in this particular light, it was clear he wasn’t. His eyes weren’t watching the camera at all. He was watching her. How many times had she looked at this very picture and not noticed? All of a sudden the joy of their wedding and the years they spent together came rushing back. Even if just for a moment, it was enough to make everything they had suffered together worth it. She refused to accept his guilt, and staring at this photo of so many years ago strengthened her resolve. She would see him again. It would be another sleepless night full of uncertainty, sorrow, and fear. The knocks on their door six months ago initiated by two officers of the state had forever turned her world upside down. The slamming of the iron knocker resonated in her mind until she could no longer take it. Some nights were better than others. Tonight was not one of those nights. While the children slept, Evie snuck out of bed and went downstairs to turn on the TV. Expecting typical late night programming, Evie was grateful to find an interesting documentary on the Mars colonization effort. Jillian Jaspers’ determined and chunky little face was plastered on posters in every mall across America. She was the face of the Mars exploration and had inspired state and federal lotteries of willing (and desperate) families to get off Earth and travel to Mars. In just ten short years, Jillian and her crew of early explorers had built a massive colony with the purpose of pursuing unique scientific research, all backed by companies exporting rare Earth minerals that were found in droves on the Red Planet. Gold, platinum, lithium, and copper were in abundance and instigated a colonization effort similar to the gold rush in California in the 1800s. The invention of quantum propulsion engines made the trip millions of dollars cheaper and thirty days shorter from the previous average of two hundred and ten days. The documentary showed a lavish paradise of interconnected structures built under the Martian soil. Massive buildings were lined with the most expensive metals and decorated with the finest materials that could be mined. Hotels with vacation packages erupted overnight and commercials tugged at wealthy families who could afford the trip. Like any colony, it wasn’t without its troubles. Merely a few years after colonization, a contingent of marines was dispatched to the planet to restore order after a dispute broke out between two mining companies. They established a prison system, and under a United Nations mandate, imposed martial law. The United States government decided to capitalize on the establishment, of course, and saw it as a perfect chance to drain out the worst criminals in the U.S. Other countries followed suit, and not before long, Earth’s worst convicts were sent to the first extraterrestrial penal colony. Although the documentary didn’t say it, to Evie, Mars became the perfect juxtaposition: families seeking a permanent future and the pursuit of riches on the Red Planet occupied one side; while the world’s worst convicts with no future occupied the world’s harshest prison on the other. Evie couldn’t imagine leaving Earth willingly and permanently; in fact, it seemed like a death sentence regardless of which side you found yourself. Even with the early explorers of America, Evie found it hard to picture leaving a place as comfortable as this to get her name in the history books. Even if her town wasn’t quaint and comfortable, it was still her town; and more importantly, it had oxygen and water – something that she determined was as good a reason as any to never go to another planet. As the documentary ended, Evie found the soft glow of the TV relaxing. Finally, sleep won; but it never lasted long. The pitter patter of tiny feet down the hallway ripped Evie out of her late night rest and pulled her back to the present. Evie stared down at the skillet of half cooked scrambled eggs. With one hand on the handle and the other wielding a spatula, she didn’t even care that her haphazard stirring was going to result in an unevenly cooked meal. She just wanted to get through one more lackluster breakfast and get the kids off to the store, where she would complete another week’s worth of shopping while struggling to maintain order as she pushed the cart down the aisle. Dropping the spatula into the hot skillet, she stormed out of the room and up the stairs, knocking Nathan to the floor not caring as she went. Slamming the bedroom door behind her, she rushed to the far side of the bed to get as far away as she could, fighting back the sobs of a desperate woman; desperate for a break, desperate for answers, desperate for the husband who was ripped from her without warning and who left a gaping hole in the heart of their home that couldn’t be filled with time or pleas to God or anything within Evie’s control. Then she heard Eden and Nathan, still crying, banging on the closed door with all of their might, needing her, demanding her, and ultimately sending her into the tears that she’d tried to fight back. It wasn’t their fault. They were her children, and she loved them. But it was happening more and more. The pressures of single parenthood on top of the grief and weight of unanswered questions surrounding Jonah’s incarceration were wreaking havoc on her sanity. She sat down on the corner of her bed and placed her head in her hands as the sobs rolled out of her. Eventually she stopped. The kids had quieted down and she heard the muffled sound of their giggles, happy again and playing together on the other side of the kitchen door. If only it were that simple for her. Tantrums and spilled milk were so easily fixed and forgotten compared to the weight she carried daily on her shoulders. After staring blankly at a fray in the rug under her feet for what might have been a minute or an hour, her gaze was drawn to a large oil painting hanging on the wall on the opposite side of the room. It was her painting. For just a moment, her mind went back to its setting; the ornate, ivy covered red brick chapel that she and Jonah were married in. Painting hadn’t been something she’d had time for in years, but she couldn’t help but forget the world around her in this fleeting moment and admire her work. She looked at the clock on the face of the chapel’s steeple, which read 6pm; the time of their wedding ceremony. She’d painted it in painstaking detail, wanting to honor that sacred day and time. But as her eyes moved outward from that clock, the landscape around the chapel became hazier. Farther from the clock, the less defined her brushstrokes became. Soon, they only hinted at the lush greenery surrounding the church on that warm June evening. Then her eyes drifted down to a large black shadow she’d painted in the foreground. She’d added a faint outline of two figures in the center of that shadow; her and Jonah walking together, hand in hand, just as they had after the ceremony was finished. Suddenly, she snapped out of her brief trance as reality came rushing back. How ironic that their shadowy outlines hidden in the midst of a dark hole on an otherwise bright and cheerful painting would be all that was left of their marriage. Maybe everyone was right. Maybe it was better for her to move on. Forget Jonah ever existed. Relegate him to a hazy shadow of her past and start over. There could be freedom in that. Turning her head back to the direction of her children, she remembered two things. One, the eggs were still cooking along with the spatula she’d hastily thrown into the skillet. She could smell the burnt eggs and melting rubber from where she sat. Second, those were Jonah’s children in there. No matter how hard she might try to forget him, as if there was any chance she could truly bring herself to move on, his children would never let her forget. Their children. No, she could never stop fighting for Jonah. With renewed resolve, she stood up, wiped her eyes, and walked back toward the kitchen, toward the charred mess on the stove and toward her beloved children who reminded her who she was, who Jonah was, and what she had to do next. Like what you’ve read so far? Buy the book here!